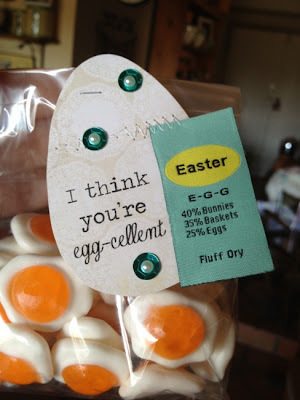 I found these cute egg gummies at Winco. Are they not the cutest? They taste good too... a citrusy flavor! I simply put them in a clear candy bag and stapled it closed. For the tag, I free handed an Egg using My Mind's Eye's "Nostalgia". My free handing is terrible, so this wasn't the 1st attempt! 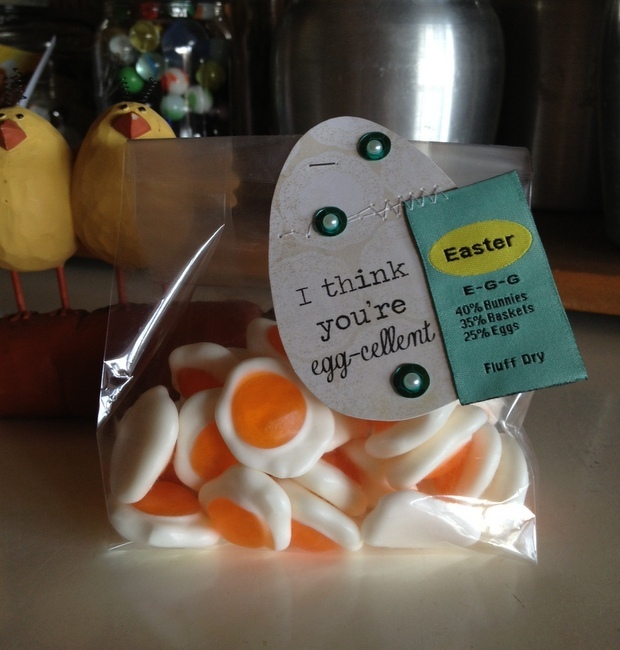 I added this fabric clothes tag from Junkitz. I bought this tag YEARS ago! It has sure held up it's cuteness!! I added some stitching, a couple sequence and some white 1/2 pearls for decoration! I will put these goodies in my nieces Easter Basket!